Sumoku is one of the games we play for math. Sumoku is a Scrabble like game played with numbers where goal is to be the player with the highest number of total points. At the beginning of each game the dice is rolled once to determine a multiple. In Scrabble a word is played, and in Sumoku a number is played. When the digits in a number are added together, they must be divisible by the multiple shown on the dice. Only one of each color tile may be used in a single number. Games take around 30 minutes to play and serve as an excellent mental math workout. Players are constantly adding to find the best moves and dividing to make sure the moves are legal. By playing regularly the kids begin to recognize multiples of numbers more readily. To see the other games and activities we do for math visit our Math Page. Sign-up to follow Highhill Education by email below. This tulle on top hat was a very quick knit and a great project for kids. It can be created with knitting needles or with a Knifty Knitter. Created on 10.5 inch needles, two strands of worsted weight yarn were held together as if they were one strand. (I tend to knit loosely.) After casting on 54 stitches and knitting about six inches in the round, the hat was decreased and closed at the top. Ten strips of tulle were threaded through the knit stitches and tied in a knot. The finished hat fits a child. Physical activity is essential for keeping kids healthy. As homeschoolers, it's all too easy to get wrapped up in indoor learning and forget about going outside. Hobbies can be absorbing as we strive to finish a knitting project or a building of blocks. Learning is great for the brain and when researching on the internet, aren't we all distracted by new websites to visit and videos to watch? We must not forget to get outdoors. Last year when my daughter was sick we stayed inside more than ever. I didn't realize at the time how detrimental it was to my personal well being. I still went out to run, but it was usually in the dark. This year we have worked outside time into our day. Although it takes even longer to get through the school day everyone is happier. We spend two hours each morning working on reading, writing and math before spending 30 minutes playing outside. We return indoors for another hour or so of piano, German and Spanish before eating lunch and heading outside for an hour long break. After that we sometimes come in, sometimes stay out and often head to sports and music lessons. This routine has been better than any of our other school plans of the past. We even go out when it's raining. Here are some of the things we do outside that encourage physical activity. We walk to the playground and everyone climbs, even me. Some days we play tag and some days we play ping-pong. Daily walks encourage exploration, and we often walk, especially when it's raining. By walking daily the kids have learned their way around the neighborhood, discovered nature and gotten that much needed Vitamin D.
Simple games and activities in the driveway often keep us active. Soccer or just kicking a ball back and forth, monkey in the middle, ping-pong, hula-hoop, jumping rope and frisbe often entertain me and the kids. The key to our physical activity is routine is that outdoor play time is built into the schedule so we don't forget it. Week 16: We sent messages through the simple nerves we created. Our bodies are filled with tiny receptors that send messages from all parts of our bodies to our brain. Light, heat, and pressure are a few of the sensations our nerves can detect. Referencing David Macaulay's The Way We Work book, we built a few nerves and used them to send messages. A piece of yarn was cut approximately 3 feet long and one bead of the same color was added to each end to create one nerve and receptor. In total twenty nerve/receptors were created for this project. The yarn color indicated the body part where the receptor was located. The bead color indicated the type of receptor. The nerves were strung over the couch. The body kids selected a message and then pulled on nerves that would be activated in the situation. The brain had to decide which body part felt what type of signal. The brain was delighted to find out what the stimulation was that triggered the nerves. Our other human body projects are easy to find on the Science Page. Week 1: We quilted a hot pad showing a map of the Roman Empire. The Roman Empire was built on the shores of the Mediterranean Sea with the city of Rome at it's heart. Land which was part of the empire rests on three separate continents. The Rhine and Danube Rivers in the north served as important boundary markers. The Apennine Mountains divide the Italian Peninsula into east and West with Rome resting in the more fertile western side. To create the hot pad, we referenced a map in the Ancient Rome (Cultural Atlas for Young People) by Mike Corbishley. First I photo copied the map and cut out the bodies of water. Using a fabric marker, I traced the bodies of water onto blue fabric. A piece of brown fabric was cut into a square to serve as the land. The water was aligned and sewn onto the land. It took me about an hour to do this prep work before getting the kids involved. Next we talked about important geographical features in the Roman Empire and marked them on the map. Rivers - Po, Rubicon, Tiber, Danube, Rhine and Rhone. I used a permanent marker to mark the rivers and cities, and the kids sewed on the lines. There are many weeks of our Rome Unit up ahead, so now would be a great time to sign-up to follow Highhill Education by email. There's a link on the right-hand side of the blog. We made units, tens and hundreds and discovered if the sum of the digits in a number are divisible by three, then the number is divisible by three. More than five years ago I constructed these units, tens and hundreds from card stock paper by simply measuring centimeters and cutting. They are one of the most useful visual math manipulatives we have. They have been extremely helpful in learning addition with carrying numbers, subtraction with borrowing, and place value. Most recently they were used to discover a trick in determining whether a number is divisible by 3. First, several two and three digit numbers known to be divisible by 3 were displayed using the units. In the picture above moving from right to left, bottom to top the numbers 12, 15, 18, 21, 24, 27, 30, 33, 36, 120 and 141 are represented. Since no pattern was initially obvious, I asked my son to count the number of pieces of paper in each pile ignoring the fact they represented ones, tens or hundreds. Moving from right to left, bottom to top the numbers of pieces of paper shown are 3, 6, 9, 3, 6, 9, 3, 6, 9, 3, and 6. Using this process my son noticed a theme and upon further thinking was able to deduce that if the sum of the digits in the number were divisible by three, then the number was divisible by 3. My son is a child who learns best by figuring things out for himself. Little information is retained when I explain something, especially in regards to mathematics. Although I lead him in this activity, he discovered the rule making this activity very effective for his learning style. See our math page for more hands-on math ideas and activities. My eleven year old daughter continuously sews clothes for her stuffed polar bear. My five year old watches her every move and is now sewing clothes for her stuffed hedgehog. To create the hat she made a fabric flower and sewed it onto a round piece of felt. Then she cut out four rounded rectangles and sewed them together for mittens. Now Hedgie is so cute, but I think she needs a coat. This is an excellent beginning sewing project for any young child. One of the best pieces of parenting/educational advice I ever received came from a dad who was the husband of a public school teacher. He said "We just keep introducing him (his son) to new activities to see what sticks." Brilliant! Every kid is different. Some like music, some art, some dance and others building toys. Exposure is a key to opportunity, and exposure can come in so many forms. It can be a book or documentary on a new topic, a new piece of equipment, a public event or the passion of a good friend. There are so many different reasons parents have for removing a child from public education. ........Just to name a few. For the kids who just don't seem to learn well with traditional methods there are alternatives. To start, parents can find out about different resources or opportunities in the community and introduce them to the child. Once a child finds an interest, they are often self-motivated to read, write and seek more information on the topic. A hobby can end up covering several subjects. 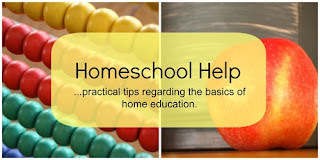 The most challenging and time consuming part of being a homeschooling mom is not lesson planning, but rather, finding the best resources to introduce topics. For example, this year we are studying the middle ages and I am no where near an expert on the subject. I don't think it was even mentioned in my high-school or college history classes. Much of my time is spent locating books and videos that are entertaining and educational for kids studying the middle ages. Once I find the materials, I often read along with the kids and we learn together. 1. I start searching my Huge Book List for books on the topic. 2. Next I see if the books on my book list are available at the local library, Paperbackswap or Amazon. 3. I search the library for books on the topic and usually start by reading a few children's books to learn the basics. Many books I look at and return quickly when I see they are not my style, too easy or too difficult. The others I read cover to cover if I can find the time. 4. I search youtube for videos on the topic. 5. I scan my pinterest pages if I remember pinning activities from other bloggers on the topic. Here are some other resources to check out. Homeschooling - Where to Begin - This is a post I wrote to help new homeschool parents find curriculum and teaching methods that work for them. Options range from unschooling to traditional school and everything in-between. My Resource Page has links to several other posts helpful to those who homeschool and who are new to homeschooling. If you're new to homeschooling - Welcome! Homeschooling can be fun, frustrating and rewarding all at the same time. Here are links to posts from other Homeschooling Bloggers to help new homeschooling parents get started. Week 15: We needle felted eyeballs. Did you know our eyeballs are roughly the size of golf balls? Most of the eye is a fluid filled chamber. At the front are the cornea, pupil, iris and lens which work together to focus images of what we see onto the retina at the back of the eye. Our eyes are very similar to cameras and binoculars. Both can be focused to create clear images and adjusted to let in just the right amount of light. By modifying the focal length on the camera lens the aperture changes in corresponding size, just like the pupil changes size in high and low light. Lenses work by bending light. The shape and thickness of the lens determines how the light is refracted. In our eyes four muscles are attached to the lens. By tightening and relaxing the lens of the eye changes shape which focuses the image onto the retina. To understand the differences between convex and concave lenses and how different shapes refract light we visited My Science Site. To gain an even better understanding of eye anatomy, lenses and how the eye works we turned to youtube. After watching a few random eye anatomy videos we watched these two Bill Nye the Science Guy videos on how the eye works and how lenses work. Then the kids began needle felting their own eyeballs. They began by creating a fiber ball. The balls were partially covered with yellow fiber to represent the retina. Pink fiber covered the retina to represent the choroid. The choroid was covered with white fiber for the sclera. Then an optic nerve was added to bring the image to the brain and four muscles were added to contract the lens. Finally a lens, pupil, and iris were added to the front. Look how different they turned out. Some aren't even connected to the brain. The rest of our Human Body science projects can be found on our Science Page. Just before the election last year we did several activities to learn about American Government. Now I found great books to go with last year's lesson. Grace for President and Duck for President are two books to read to help kids understand the American election system. Grace for President is appropriate for young children and the electoral college is explained in a way kids can understand. Physical activity is good for coordination, weight control, and general well being. It's also just plain fun. So it's not surprising that our kids do this. Encouraging physical education is something that comes naturally to my family, but it doesn't come so easy to everyone. It's so important to good health. Simple equipment can go a long way to encourage indoor physical activity. Tucked into the corner of our living room kids can find a mini trampoline, jump ropes, hula hoop, and stilts. They often bounce between reading a story and working through a math lesson. Kids need activity and having some fun equipment available in the room can go a long way to creating life-long good physical health. Knit Your Bit: A World War I Story is a good story to read with kids while introducing them to a new craft. During World War I, women and children in America began knitting for the soldiers fighting in the war. The knitting clubs continue today. This was the simplest hat I ever knitted and it makes a great first knitting project for children. All they have to do is knit a big rectangle and then sew up the sides. Then pom-poms or tassels can be sewn onto the corners. Here are more specific instructions. The first twelve rows were knit one, purl one and then purl one, knit one to create a seed stitch texture. The majority of the hat was knit stitch on the front side and purl stitch on the back side to create the stockinette stitch. It was finished with another twelve rows of seed stitch. This hat can be created with any size yarn and needles. The stitch count can be easily varied to create the proper size. Most hats have a circumference around 19 inches, so the rectangle should be approximately 9.5 inches wide and about 15 inches long. Charlotte Mason's philosophy on foreign language makes a lot of sense. Natural language progression begins with listening, progresses to speaking, followed by reading and then writing. Much of listening and speaking happen simultaneously, as well as reading and writing. This progress is clear when we watch babies grow into young scholars. Once the listening and speaking phases are well understood and work on reading and writing begins, another language can be introduced. This is basically the philosophy we have used to study foreign language. When my children were toddlers, I worked as an engineer and they were watched by a wonderful Mexican lady. During that time my kids learned to understand Spanish, but because she understood English, they never really learned to speak. Regardless, I am confident they could speak in a very short time as the Spanish language is in their heads. Before they began studying written Spanish we moved to Germany. For that reason, we quit studying Spanish temporarily and began studying German. Once they could speak and understand German, they began learning to read in German and resumed listening to Spanish. It has been over four years since we moved to Germany and the older two kids have begun studying a third language. My eleven year old chose French and my son chose Chinese. They now spend between 30 and 45 minutes per week studying each language. The materials we have used to learn languages are very natural. Instead of trying to follow a curriculum or read a picture dictionary, we have listened to children's music and watched children's television and movies targeted for native speakers of the language. Occasionally we have listened to CD's that help to learn such things as colors, numbers, months, and body parts, but have found that music targeted for native speakers of the language is much more enjoyable. Living in Germany it has been easy to find resources in German. Spanish resources were also easy to find as so many children's DVD's are available in several languages. We watched shows such as Dora the Explorer in German, and Plaza Sesamo which is the Spanish version of Sesame Street. Chinese resources have been more difficult for me to find. My son currently follows the Transparent Language on-line curriculum. Recently we have been using the iPad to study German. I typed in the key word "Lesen" which means to read in German. From there I was able to download several audio books and simple kid games. In the past I've written about the materials we use for Foreign Language study. The posts can be found by visiting my Language Arts page. If you use other language immersion resources I would love to hear about them. Here are links to how other families study foreign language.